Generating Island Terrain – Look behind you, a Three-Headed Monkey! Over the past month I’ve continued looking into terrain generation for my next game. 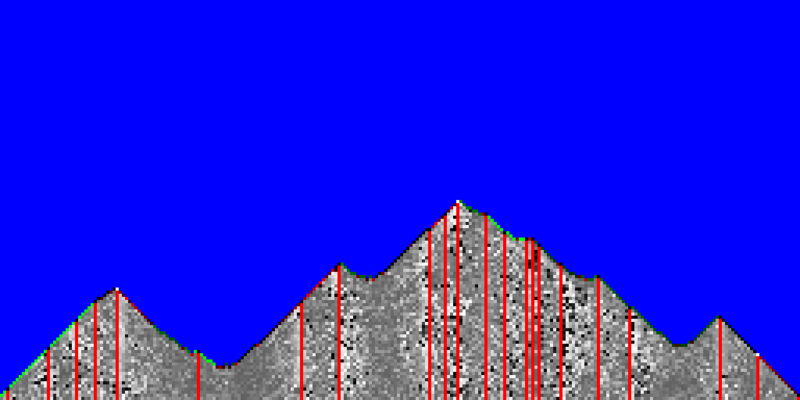 My previous attempts were using algorithms to generate a fully-formed terrain from scratch, but I wanted to see if I could come up with a way to simulate terrain generation over time. I’m envisioning that the player will be able to change the terrain dynamically, so I want to be able to evolve the terrain as the player interacts with it. 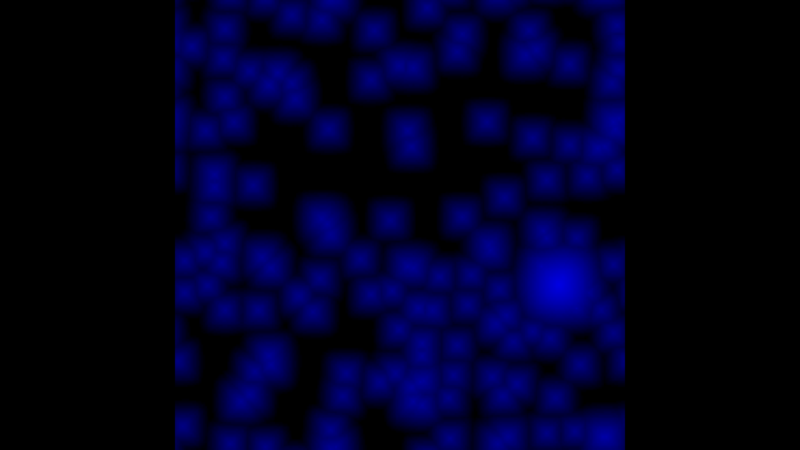 I started with a basic heightmap where every location of the terrain has been assigned an elevation. Using lava flows as real-world inspiration, I added a variable for each location’s temperature and designated some cells to be heat emitters. At every step of the simulation, these emitters will add heat to their map location, which can be transferred to neighboring cells. Over time, the temperature increase will spread across the height map. I also added some rules that govern how heat is lost – for example, due to dissipation as heat is transmitted across the map. Whenever this happens, the location’s elevation is raised similar to what happens when a lava flow cools down and comes to a rest. The red columns are emitters, and the colors of the other columns are determined by their temperatures whenever the elevation was raised. As the difference between the elevation of any two neighboring cells increases, so does the amount of heat that can be transferred. This prototype allowed me to fine-tune parameters like how much heat is produced by each emitter or how much heat is lost each turn to generate a mountain landscape. 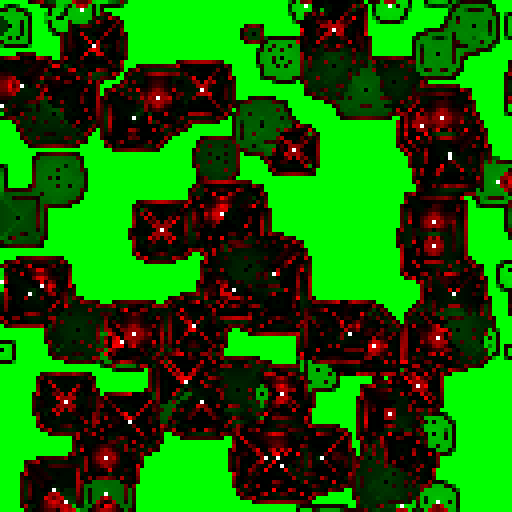 I will continue work on the algorithm as I’m not 100% satisfied with the shape of the terrain yet. 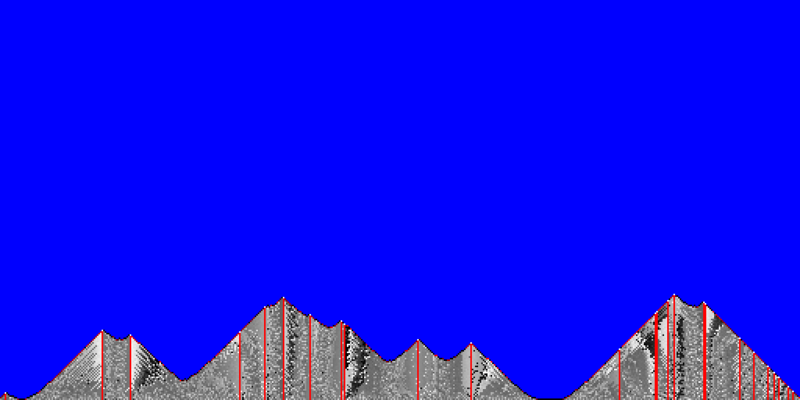 The islands end up a little too round and there are few valleys or flat areas, but I think that can be remedied by tweaking the algorithm further. Specifically, I’m considering adding another variable that models the amount of dirt at a given location. Using that, the simulation could include erosion processes that level differences between neighboring cells without the need heat transmission. Stay tuned for more.